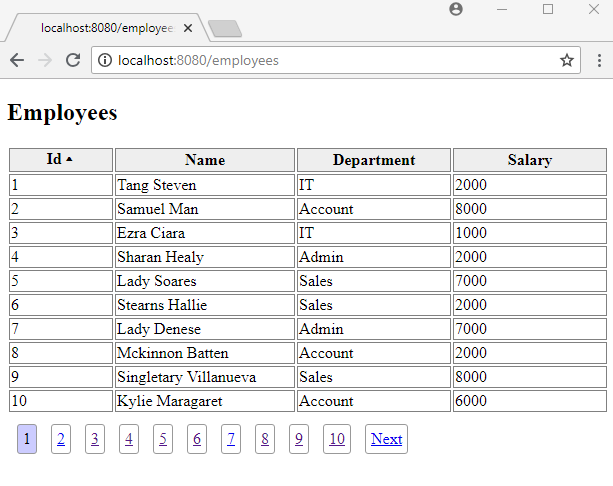 In previous tutorials we have seen how to use Spring Data pagination web support. In this tutorial we will see how to use sorting support. This annotation defines the default Sort options to be used when injecting a Sort instance into a controller handler method. In both above cases, SortHandlerMethodArgumentResolver is used to automatically create Sort instances from request parameters or SortDefault annotations. This resolver is active when we use @EnableSpringDataWebSupport in our configuration class. 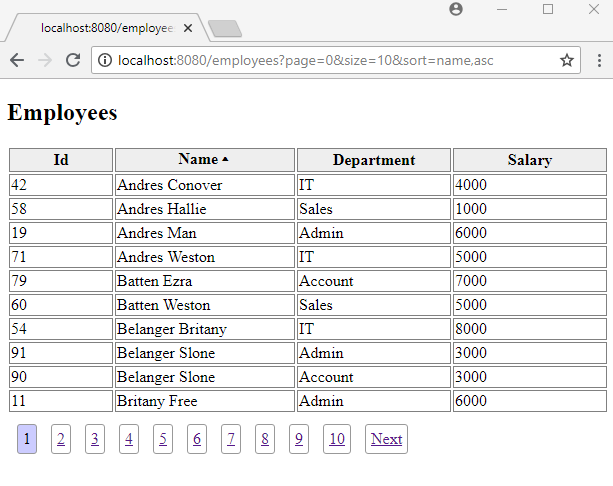 We created a custom query method in above repository with Sort parameter so that we can use Sort parameter in our controller which will only produce department list for the view. Following view implements both sorting and pagination together. 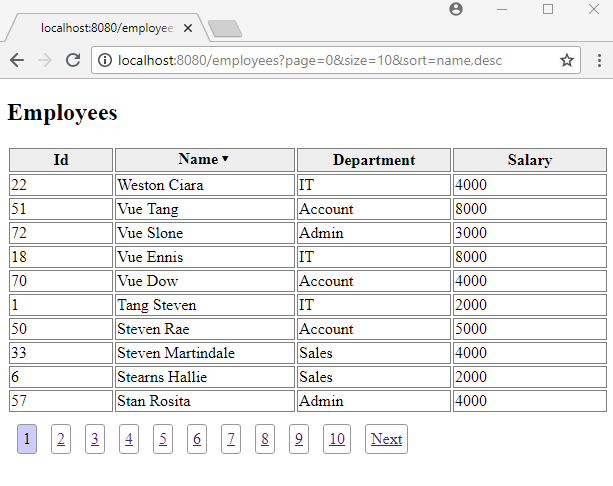 We are doing single column sorting which is performed by clicking on table header. This is similar to Java Swing JTable sorting functionality (check out example here). 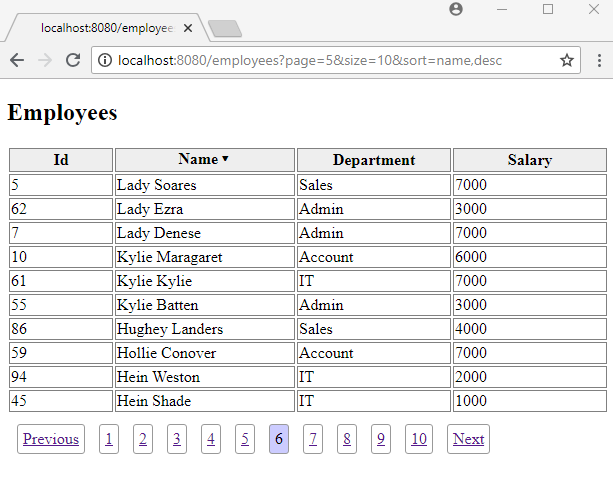 We are using JQuery to handle table header clicking and showing arrows; ▾ and ▴ at the right place for descending and ascending sorting respectively. 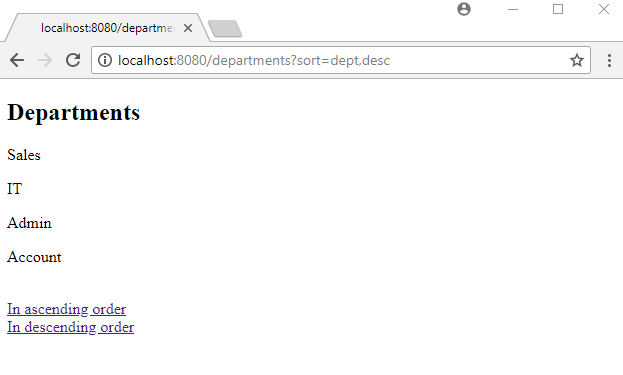 Following view shows only department list. The corresponding handler method (as seen above) only uses Sort parameter. Clicking on the pagination buttons preserves the last sorted column. 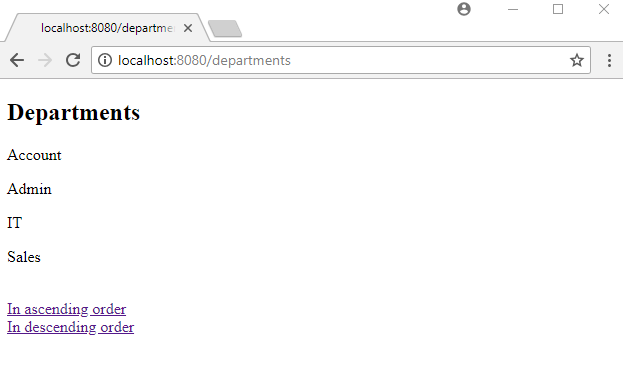 thymeleaf-spring5 3.0.9.RELEASE: Modern server-side Java template engine for both web and standalone environments.